STANFORD, Calif. — The student government at Stanford University has denied funding for an upcoming conference on marriage and family due to accusations from angry students that the event would promote “hate speech” against homosexuals. Stanford University’s Anscombe Society is set to host Communicating Values: Marriage, Family & the Media on April 5th, an event that was organized to “help university students and young adults … promote the values of marriage, family and sexual integrity to the broader popular culture.” The conference will host special speakers such as Ryan Anderson, William E. Simon Fellow at the Heritage Foundation and co-author of What is Marriage? Man & Woman: A Defense, and Sherif Gergis, a Ph.D. Philosophy candidate at Princeton University and author of What is Marriage? 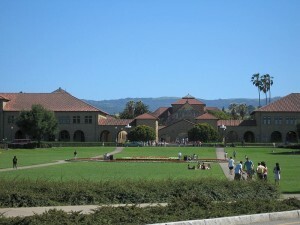 Although the website for the conference communicates that organizers “denounce all attempts to use the debate surrounding this conference to promote demeaning and derogatory attitudes toward members of the Stanford LGBT community,” the Anscombe Society was denied $600 in requested funding over assertions that the event promoted hatred toward homosexuals. According to the Stanford Daily, the homosexual advocacy group GradQ spoke out against the speakers invited to appear at the conference, stating that their speech could threaten the safety of some students. Student Brianne Huntsman (’15) organized a rally at the Graduate Student Council meeting to express concerns surrounding funding the event. Approximately 100 students attended. “There is a lot of feeling espousing the view that marriage is between man and woman is, at the least discriminatory, at worst hate speech,” one student asserted, according to the minutes from the meeting, held on March 5th. Some students also contended that the event was exclusionary because it required a registration fee, which they argued would limit those who disagreed with the views expressed at the conference. Ultimately, the student council voted 10-2 to deny funding for the event, with two others abstaining from the vote. The following night, Stanford’s Undergraduate Senate also denied a request for $5,000 in funding for the general activities of the Anscombe Society. “I think they did the right thing [by] not funding speech that is hateful or degrading to others on campus,” one commenter wrote. “How come the Anscombe Society is considered hateful, but the reaction of the LGBT community and university is not considered hateful?” another asked. “[I]f a gay group wanted to host an event favoring gay marriage, you can be sure that they would get funding from the student government,” a third wrote. The Anscombe Society states that despite the denial for funding, the conference will go on as planned as the organization will seek funding from private parties.